You will see youth everywhere around our church—perhaps singing in the adult choir, helping make sandwiches for a homeless shelter, preparing Easter breakfast for the congregation or assisting in our nursery. They serve Communion, read scriptures and play music during Sunday worship. We don’t necessarily think of our youth as “the future of the church” – they are our present! 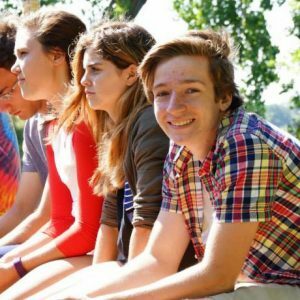 High school-age youth meet each Wednesday evening from 5:45 to 7:15 p.m. for supper and conversation about life, faith and their world. Each summer they participate in an outreach trip, either locally in the Twin Cities or around the country, engaging in service projects and developing relationships with a local community. 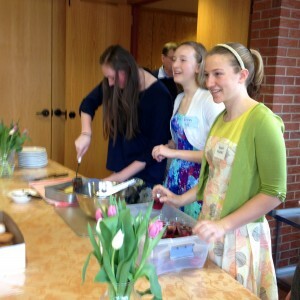 Confirmation class is a one-year time of faith exploration led by our pastor and adult mentors from the congregation. Sixth- through eighth- graders explore the Christian faith and what it might mean in their lives to be followers of Jesus. Upon completion of confirmation, our youth are invited to share their experience during a Sunday service and to be welcomed into full adult membership in our congregation. Many of our youth participate in regular conference-wide UCC youth events, meeting young people from around the state, exploring their faith in a wider context and having fun. 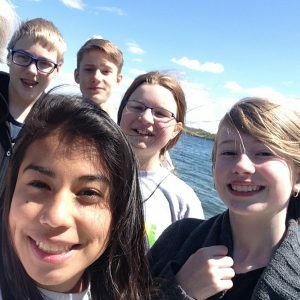 Our UCC summer camp, Pilgrim Point in Alexandria, Minnesota, offers a week of outdoor activities and new friendships by the lake.